Thousand-year-old city of Kyiv has been changing rapidly in recent years: every day new restaurants open here, dozens of lectures, concerts and parties take place. It’s difficult to keep track of everything, but there are places that always help to feel the spirit of this city. 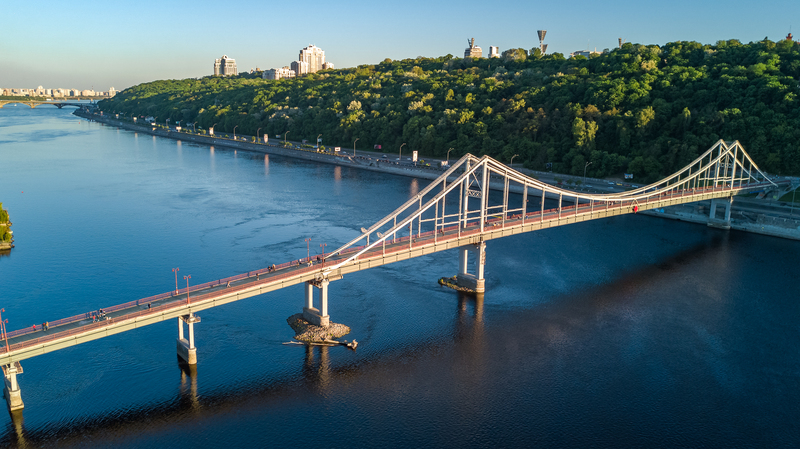 For those who came to Kyiv for the UEFA Champions League final, we have collected a list of recommendations on where to eat, drink and have fun – check out our guide! Remember the main rule: the closer to Khreshchatyk you are, the more eventful is life. Especially around ​​Bessarabska Square – it’s packed with places for every taste. For example, here you can find one of the budget restaurants of Ukrainian cuisine “Puzata Hata” (“Пузата Хата”) (½, Basseina street). All restaurants of the network work in self-service format. In the menu you can find borsch, varenyky, Chicken Kyiv and a dozen of simple and understandable dishes. Also here you can drink some beer and eat a dessert. The average check for a person is only $5. If you want to try a higher class Ukrainian cuisine – you should visit “Pervak” restaurant (2, Rognidynska street). On Bessarabska Square one of the three network pubs “This is Pivbar” is located (15, Basseina street) – they serve dozens of varieties of draft beer and meat cooked in various ways. 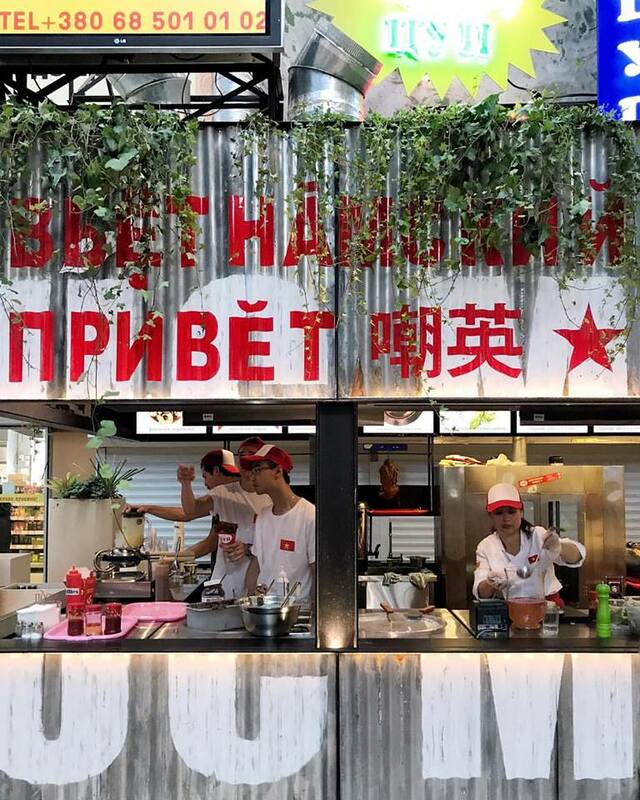 We recommend you to visit the Besarabsky Market nearby: the atmosphere of the Soviet market is preserved here, while the place is popular among youth due to several vegetarian cafes and “Vietnamskiy Privet” (“Vietnamese Hello”) Asian bistro. Another important point in the area is a large 24-hour store, “Le Silpo”, located inside of the “Gulliver” shopping mall (6, Basseina street). Here you can buy everything from chips to oysters and from Ukrainian beer to branded French wine. Take a walk from Bessarabska Square to the Taras Shevchenko park. The park is named after the main classic of Ukrainian literature and is located in front of the bright red building of the University after the same name. It’s a small square full of life: aged people play chess here from morning till night, students make dates, and in the evenings people sometimes dance salsa here. Please pay attention: for the period of the Champions League final “Liverpool” fan zone will be organized in Shevchenko Park. Fans of “Real Madrid” club will be located near the Palace “Ukraine”. Each of the fan zones will have tourist centers, where you can get answers to your questions and buy a Kyiv Pass card, which gives discounts in a number of locations of the city and works as a metro pass. The card costs from $17 to $40Near the park there is a cozy summer cafe called “Squat 17B” (17B, Tereshchenkivska street) – this is a real ruined-bar, hidden in the courtyard of the historic building. They offer coffee, wine, cider, beer and cocktails. 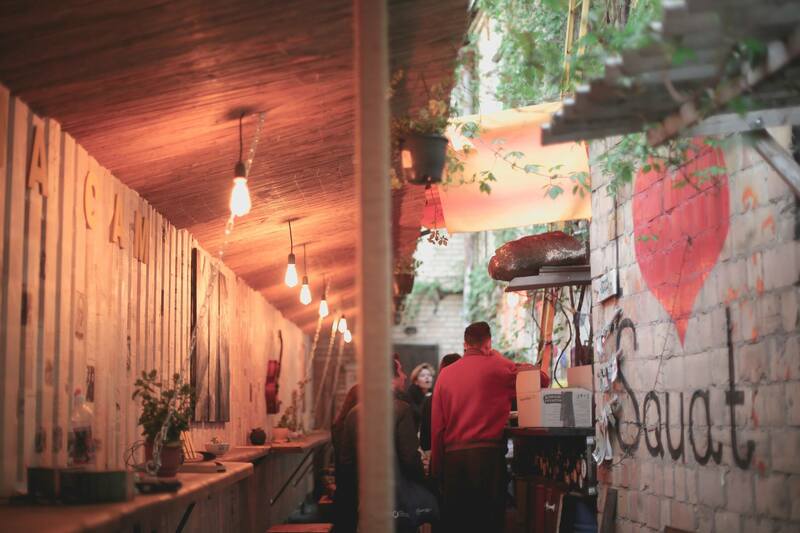 If you want to try Ukrainian wine, then go to “Like a locals” bar (5, Lva Tolstogo street) on the next street. Fans of craft beer should visit “Varvar” bar (108/16, Saksaganskogo street) – this place belongs to the self-named Ukrainian brand. The menu has more than a dozen varieties of beer and ale, as well as snacks and hot dishes. Khreshchatyk is the main street of Kyiv. You can pass through it by foot for half an hour. For the period of the Champions League final, the street will be closed for transport, and will turn into a crowded tourist street, where street musicians and dancers will perform. In times of political crises, political meetings and actions take place here. In everyday life, here one can take pictures with white pigeons and huge puppets. 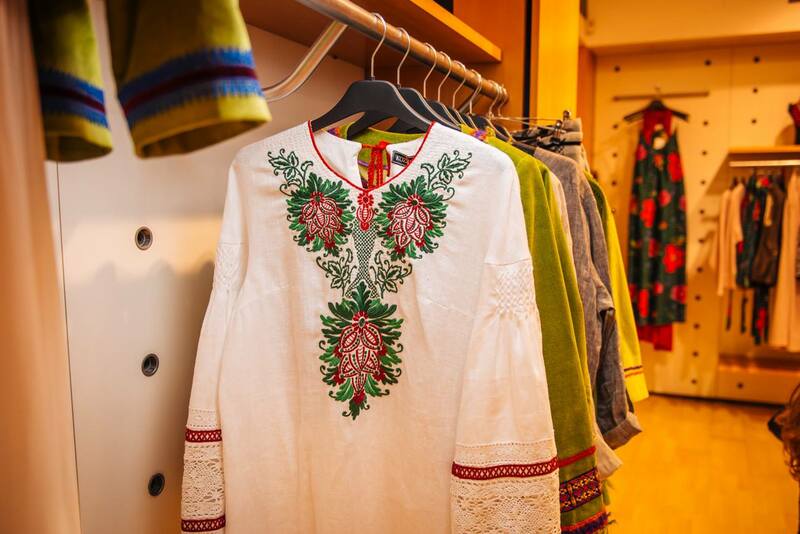 Plenty of stores and boutiques are located on Khreshchatyk, including a large store of clothing, footwear and accessories from Ukrainian designers called “Vsi Svoi” (“Всі.Свої”) (27, Khreshchatyk street). If you want to have a rest during a walk, we recommend you to pay attention to “Musafir”, the restaurant of Crimean-Tatar cuisine (3b, Bohdana Khmelnytskogo street), and for drinks visit the “Drunk Cherry Bar” (“П’яна вишня”) (21, Khreshchatyk street), where dozens of different liqueurs are served. Go up the street from the Independence Square to the Golden Gate. In the 11th century the entrance to Kyiv was located here: the original wooden gates were built during the reign of Prince Yaroslav the Wise. The ruler is known for he was the one who Christianized the Kyivan Rus in 988, meaning that he began to spread Orthodoxy in the lands of the Eastern Slavs. But make no mistake about the gates: todays gates were designed and built in 1982. It’s nice to wander along the streets of the XIX century nearby the Golden Gate, especially the Reitarska street. Here, pay attention to the fashionable “Kashtan” (“Каштан”) coffee shop in the style of the Soviet modern (9b, Reitarska street), located in the courtyard with place where crows live. The popular city cafe “Zigzag” (13, Reitarska street) is nearby and offers European cuisine. In the last year, Kyiv features a real boom of Asian cuisine, so this area has several restaurants of Vietnamese food which are worth visiting – the “Chang” (23, Yaroslaviv Val street) and “Tin Tin” (15, Lipinskogo street). The peculiarity of the latter is it’s location at the open cycle track. 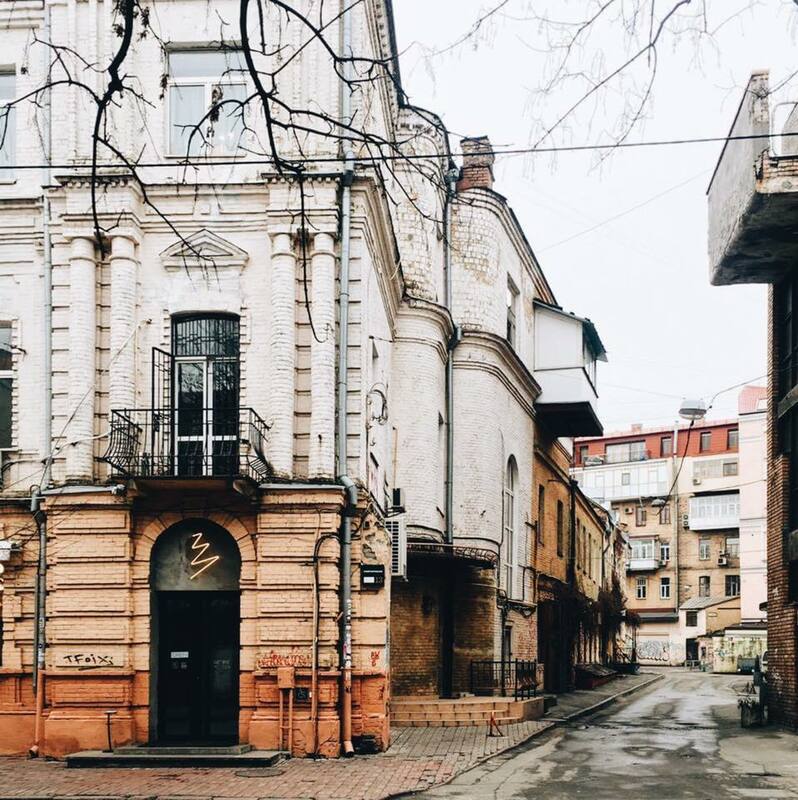 Podil is one of the most atmospheric districts of Kyiv. In the XIX century, merchants and craftsmen lived here. Podil still has many historical buildings nowadays. You can come down here from the Sofiiska Square by cable car or walk along the steep Andriyivskyy Descent – the museum-street occupied by souvenir merchants. The modern Podil is a place highly packed with bars and restaurants. Pay attention to the “Fish on Fire” (“Риба у вогні”) restaurant (23a, Sagaidachnogo street). The menu is focused on fresh Black Sea fish. Also visit “Lyubchik” (“Любчик”) (10b, Vozdvyzhenska street), where they serve dishes of Odessa cuisine. As for the bars, you may find dozens of them here. 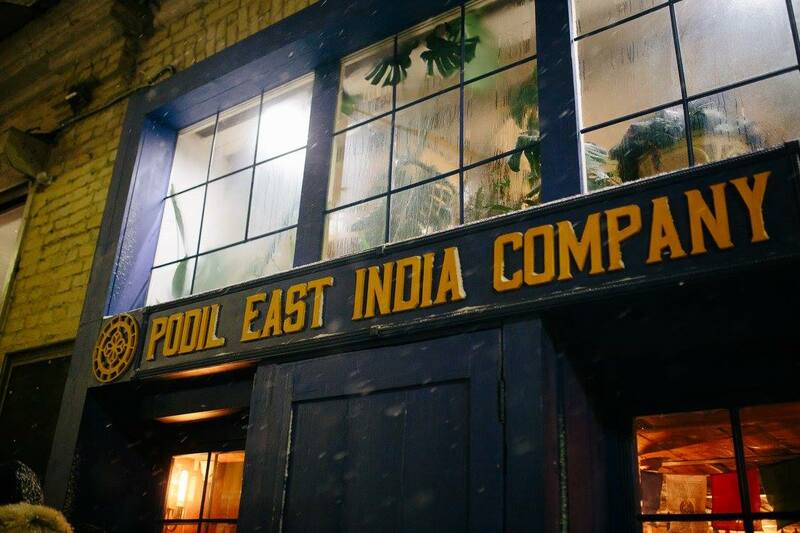 You may start with the Podil East India Company (9, Mezhigirska street) in a colonial style. Then continue to “Pink Freud” (13a, Nyzhnii Val street), which is located in a cozy courtyard and is famous for its cocktail card. What’s next? Who knows, maybe your feet will take you to “Closer” – the most fashionable Kyiv techno club of the last years (31, Nyzhnoiurkivska street). By the way, the fourth and the last fan zone will be located at Podil. Here, at the Kontraktova Square, the Champions League final will be broadcast live on a big screen on Saturday, May 26. 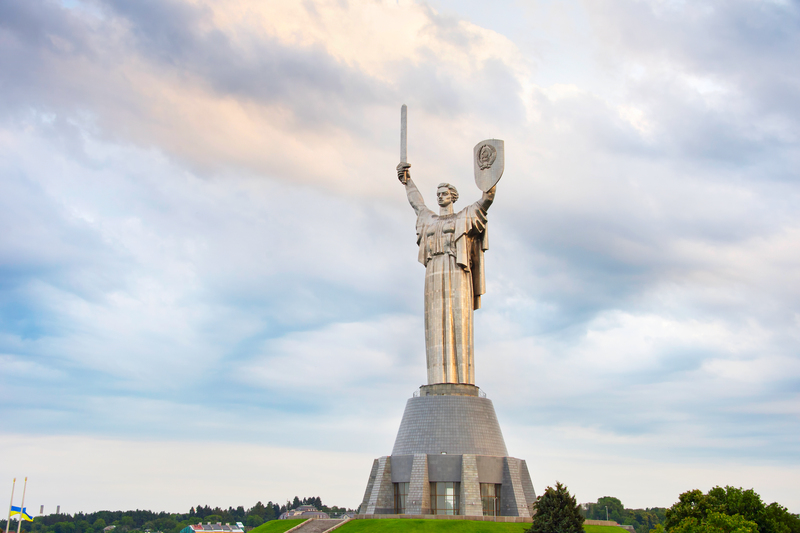 The Motherland (Zapecherna street) is a hundred-meter-high steel sculpture depicting a woman with a shield and sword raised up to the sky. It was opened in 1981 on the Victory Day, a holiday honoring the end of the Great Patriotic War of 1941-1945. The site on which the monument is located is a beautiful viewpoint of the city. If you want to get even higher – there is a viewpoint on the shield of the sculpture where you can get for $8. Truly speaking, it will take you about 40 minutes to climb up the narrow stairs. Not far from the monument the is the monastery of Kyiv-Pechersk Lavra (15, Lavrska street) – perhaps the most famous religious building in the city. The monastery was founded in the 11th century. It’s located on a high hill. The first monks often made themselves caves inside the hill. Some monks stayed there for life: the ascetics walled up the caves from inside, leaving only small window for air, and eventually starved to death. Part of the underground labyrinths is opened for visitors. The atmosphere there is powerful – one can easily imagine the religious fanaticism of the first Christians. The complex of the Kyiv-Pechersk Lavra is huge, you can explore it’s territory independently, or you may book a tour in English. If you want to look at the city in a new way, go to the Dnipro. You can take a ride on a motorboat or cabin cruiser – they regularly leave from the Kyiv river station. Prices for different routes range from $6 to $15. For a large company it makes sense to rent a yacht – lots of offers, prices start from $20 per hour. Another option is to go to the islands. You should take a walk to the Trukhaniv island along the Parkovyi pedestrian bridge. During the day, you can relax on the beach there, play paintball or ride a bicycle. In the evening – drink beer in one of the cafes and watch the sunset. You may also go to the Hydropark, located on the Venetian and Dolobetsk islands. To get there you should take a car, subway or a boat from Trukhaniv island. The Hydropark also has beaches and various types of outdoor activities, but still the place is famous for the atmosphere of the Black Sea resort – shish-kebabs (or shashlik), karaoke, discos and a light vibe of summer freedom. Ahoy, Kyiv! UberBoat is coming soon!